← Some Seed Fell on Stony Ground. 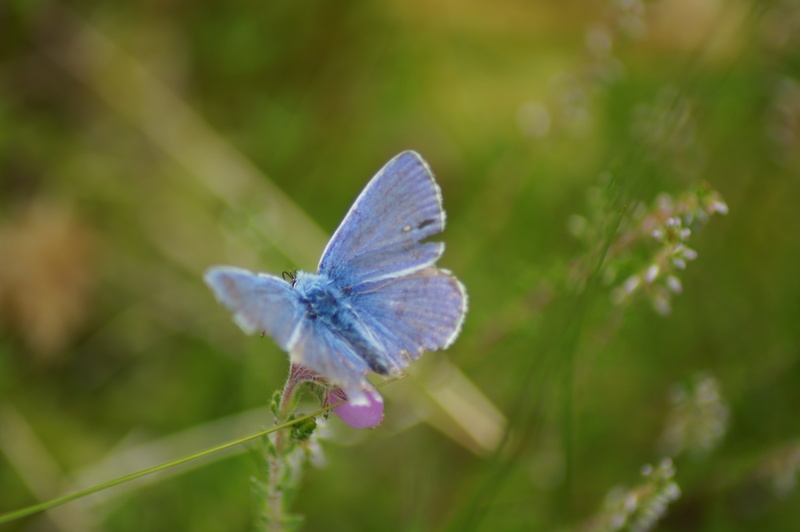 The other day I managed to photograph a common blue butterfly, a name which seems to be a misnomer as I have rarely seen one. I caught a glimpse of one last year but I was never close enough to photograph it. So even though I could see that it has seen better days it is still a thing of beauty. I might never get a chance to take a better picture of one. We live in a world where the perfect appearance is valued, especially for the young. Sometimes it is right for a photographer to eschew taking a picture because it is imperfect. But when one aims to photograph wildlife there will be many instances for which there is no guarantee that another opportunity will be repeated under better conditions. When I look back at my life I have to admit that there have been numerous times when I have delayed speaking to somebody about Christ hoping for a better time that never came. I am a shy person and it is all too easy for me to keep quiet. No doubt there are consequences for these missed opportunities in Heaven. But when I look at myself I have to admit that I am no longer young and have seen better days like that butterfly. But at least I have started to share my beliefs on this blog. This entry was posted in reflections and tagged Christianity. Bookmark the permalink.